.....or will be wearing next week! and thought I would share a few things I WILL be wearing next week! With a link to a great sale, my favorite jeggings and my first pair of TOMS! Just purchased both of these tops yesterday! Both on sale for $39.95 each. From Anthropologie. Found here and here. You know my everyday Jeggings from Nordstrom...the Standard + Practice ones? Well they are back in stock online at Nordstrom. Thought you might like the link. They are only $38 and found here!! Can't wait to get these babies. I wear Kaia's from time to time and they feel like slippers. with a special discount code! Want a chance to win a pair of my earrings? My new bloggy friend, Jen, is hosting a giveaway here! It will go live today at noon. Happy Hump Day as my hubby would say! I so wish I could wear that yellow color. It makes me look yellow. Great top! Ooh, I have been going back and forth about getting TOMS for so long! Love the burlap ones! Love the striped cardigan! Cute! OOOh that striped cardi is just bee-you-tee-ful! LOVE it! I have yet to own a pair of Toms but those are cute! Aggh! I've been wanting your jeans for so long! They don't have them at our Nordstrom here! Before I order them, I'm not sure what size I would wear. I know you said you ordered a large, would you typically order a medium? But had to order up because they run small? Please let me know! Love your new stuff and your new blog name. It is very fitting! I love my burlap TOMS! And the other 5 pairs I now own. But my burlap have outlived my canvas ones. I totally want to check out a pair of jeggings but waiting until I lose my last 10 lbs! 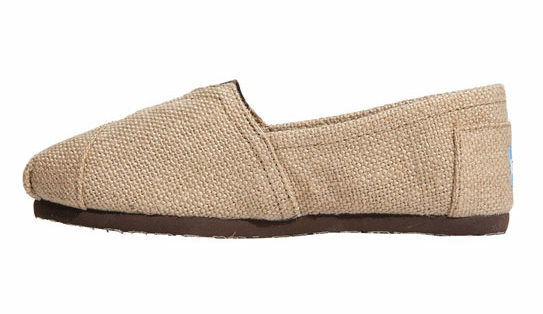 Oh man, we are getting the new spring TOMS in this week and can't wait to get the yellow sunwashed on my toes. Those burlap are def. a best seller though! Can't wait to see the new stuff! Love those tops! So nice to freshen up for Spring! Can't wait to see your new line. Oh and the new name sticks and completely suits you and your blog! Excited for you! Can't wait to see your new pretties! love all your new stuff. I adore that striped cardi! I have a pair of grey TOMS, you are right they are like slippers! Lovely clothes. I am curious (and nervous) to see what I will be able to wear in about a week. I have a feeling I will need a pick me up outfit or two when my post baby body is revealed. Those shoes look deliciously comfy. Fantastic blog! I love finding new blogs!! Those burlap toms are awesome!